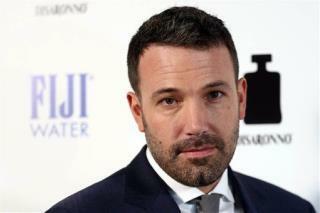 @robfee: "I fell asleep & when I woke up Ben Affleck was Batman. I’m afraid if I sleep again Paul Walker will be The Hulk & Grumpy Cat will be Thor." @MIKEBLACKATTACK: "You'd think having your parents murdered before your eyes would be the worst thing that could happen to Batman." @ledjessica: "What's with the Ben-Affleck-as-Batman furor? The bottom of his face fits the bill perfectly." @LorraineELLE: "I am worried about the beard." @LifeisSavage: "They better make sure Ben Affleck's Batman suit utility belt has some acting skills in one of the pockets." @aliarikan: "Just told my girlfriend Ben Affleck is the new Batman. Her response: "You are 35 years old. I want you to think about what you just said." @billyeichner: "How dare Ben Affleck ruin the integrity of a franchise where a grown man pretends he's a bat!" @badbanana: "Be thankful Ben Affleck said yes. You know James Franco was next on that list." @GeekOutpost: "'Ben Affleck as Batman isn’t a bad idea. He was great in DareDevil!' - No one." @pattonoswalt: "'You like apples, Riddl-ah?' You can totally use that one, @BenAffleck." This is just awful. So, so awful. So the new "Bat Man" will be a comedy?